Tobago batting sensation Iraq Thomas will make his debut in Singlewicket competition tomorrow. The organisers of the Ultimate Allrounder Cricket Challenge completed negotiation with the Scarborough/Mason Hall cricketer following his recent return from a highly successful campaign in minor league cricket in England. Thomas replaces Navin Stewart who is fulfilling a cricket commitment in the United States. Thomas has the record for the most centuries in T20 cricket by a Tobago cricketer, most sixes in a single T20 cricket innings and of course the fastest T20 century struck in 21 balls in Tobago cricket competition last year. It was that stunning batting display that catapulted him to international stardom and numerous offers to play league cricket in England. He opted to join Cogresbury and his exploits with bat and ball helped earned that club promotion for the 2018 season. With 19 innings under his belt, Thomas was the first team’s top scorer. He made 786 runs at an average of 52.42, including two centuries and a top score of 141 not out. He was pretty useful with the ball too, taking 31 wickets at an average of 16.39 runs, with a best of 4-10. The whole of Speyside is expected to journey to Shaw Park to support Thomas in his attempt to win this Allrounder Challenge that features established regional cricketers like Rayad Emrit, Marlon Richards and Imran Khan. Mark Deyal will defend the title he snatched in last year's competition when he defeated seasoned campaigners in this Singlewicket format. 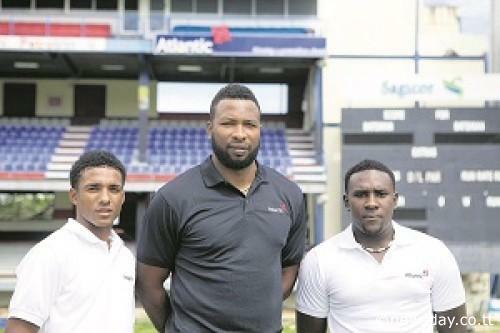 Allrounders from Tobago, Trinidad and Dominica will battle each other in the Ultimate Allrounder Cricket Challenge which will feature 13 games. Typically each allrounder bats and bowls two overs at his opponent to determine a winner. Reply to "Iraq Thomas to make Singlewicket debut"